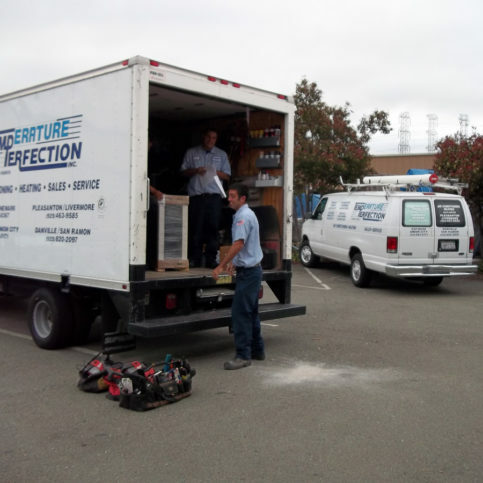 Temperature Perfection, Inc. installs and repairs heating, ventilating and air conditioning (HVAC) systems; cleans and seals air ducts; and provides HVAC system maintenance for residential clients throughout the Greater East Bay. The company uses state-of-the-art technology to determine where ductwork needs to be cleaned and check for leaks and cracks that could release carbon monoxide through heat exchangers. Temperature Perfection prides itself on punctuality and cleanliness. 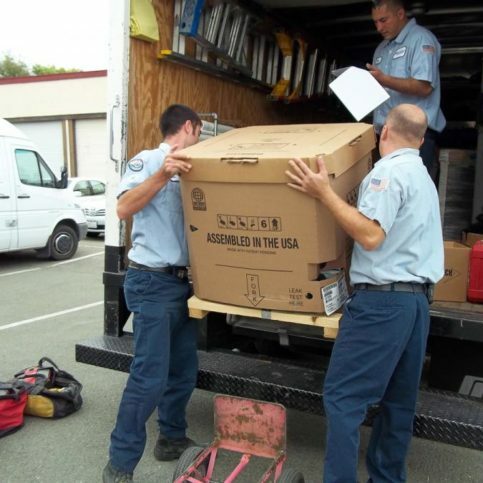 The company requires its technicians and installers (all of whom are background checked and participate in random drug testing) to wear uniforms and shoe covers, use drop cloths to protect floors, and clean up after they’re finished with a job. Temperature Perfection offers a 100 percent satisfaction guarantee on all its work and provides free estimates for installations and replacements. DIAMOND CERTIFIED RESEARCHED CAPABILITIES ON Temperature Perfection, Inc.
Company Name: Temperature Perfection, Inc.
DIAMOND CERTIFIED RESEARCHED ARTICLES ON Temperature Perfection, Inc. According to consumer reporting groups and utility companies, when it comes to replacing and/or servicing a heating and air conditioning system, 70 percent (or more) of how well it works, how long it lasts and how efficiently it operates depends on the installation procedures used. Here’s another way to think of it: The company a homeowner picks to install their system is three to four times more important than the brand of system they choose. For homeowners who need service/repair, Temperature Perfection’s diagnostic methods make use of state-of-the-art tools that allow the company to quickly find problems. 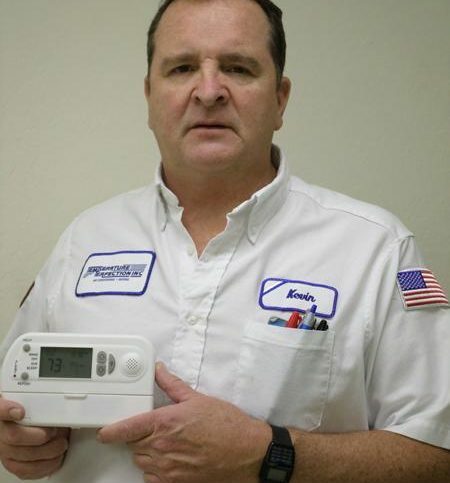 “Also, since we recommend semiannual maintenance on systems, we have very affordable service agreement programs available so our clients can protect their heating and air conditioning system investments,” adds Mr. Sollitt. Before replacing your HVAC system, familiarize yourself with its pros and cons. It’s helpful to get all the facts before agreeing to work with an HVAC contractor. A professional will offer advice and options to repair or replace an existing system. Getting the facts about utility company and government incentives for systems upgrades can also play a deciding factor for costs. Most systems are long-term investments that can provide substantial savings over time. In addition, technical innovations in systems, ducts, filters, and controls can help determine the best solutions for improved energy efficiency. If a replacement is part of a larger remodeling project, consider other factors including windows, doors and insulation as part of the overall air conditioning and heating system. Upgrades to systems can often qualify for tax or other energy-saving incentives and typically include high-efficiency versions of items such as gas, oil and propane furnaces and boilers; central air conditioning units; air-source heat pumps; fans; geothermal heat pumps; and biomass stoves. Q: Should I run my fan continuously on the thermostat or set it in the auto position? A: That’s generally a personal preference. Newer furnaces have a recirculation mode for when you run the fan continuously. On an older furnace, it can be fairly expensive to run the fan all the time. Q: How often should my system be serviced? A: Most utility companies recommend you service a furnace and air conditioner once a year. As the system collects dirt, often in small particles, it becomes less efficient. Q: Can I shut off vents in certain parts of my house? A: Typically, it’s not recommended. When you shut off more than one vent, you alter the airflow of the system, which can negatively affect the performance of both the air conditioner and furnace. It can also harm the life expectancy of the equipment. When the heat transfers through the walls and windows of that room, it often winds up in the house anyway. Q: What’s a zone system? A: A zone system has one furnace and one air conditioner, but electronic dampers can be installed that allow for multiple thermostats in the house, so you can open and close ducts depending on which rooms need air. Q: To what temperature should I set my thermostat? A: We recommend you set it to a level with which you’re comfortable. We don’t recommend moving the thermostat up and down more than a few degrees. Move it one degree at a time to find the optimum comfort level and give it an opportunity to work. It’s much more efficient to find a comfortable point and let it stay there than it is to turn it up and down. Q: Should I set my thermostat up or down when I’m out of the house? A: Maybe a couple of degrees, but no more than five. Heat is stored in walls and furniture, so if you let it build up in the house while you’re out, it’s going to take much longer for the air conditioner to get all that heat back out of the house when you return. Q: Are there ways to improve the air quality inside my house? A: We often install the IQAir filter system, which is one of the most efficient air filtration systems available and can be installed using an existing central ductwork system. It takes three years before any maintenance is required, and it removes 95 to 99 percent of particles that are .3 microns and higher. Unlike most high-efficiency electric filters that cause ozone depletion, IQAir is a non-electric filter. 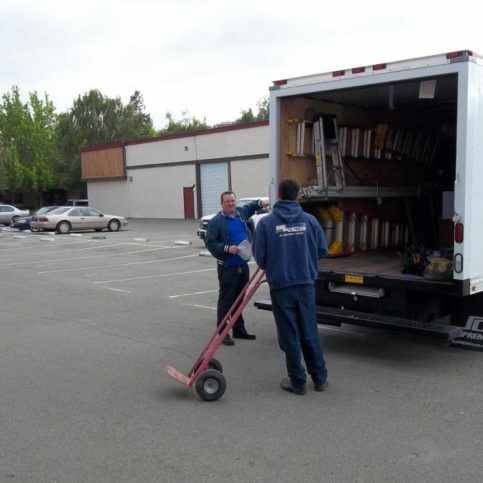 SELECTED PHOTOS FROM Temperature Perfection, Inc.
Two Temperature Perfection employees load a truck. The company’s warehouse is fully stocked with necessary materials. 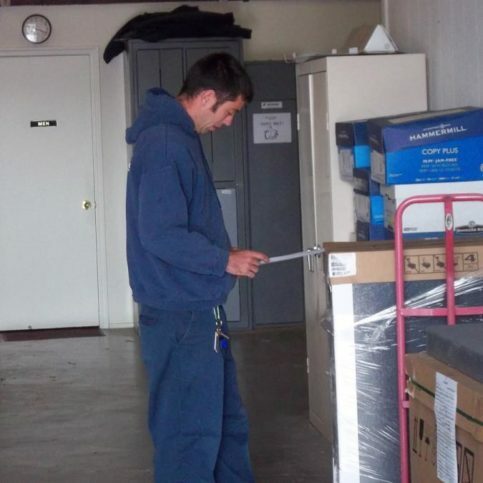 A technician double-checks an invoice. Owner Kevin Sollitt confirms the details for an upcoming job. A Temperature Perfection technician heads out to a job. 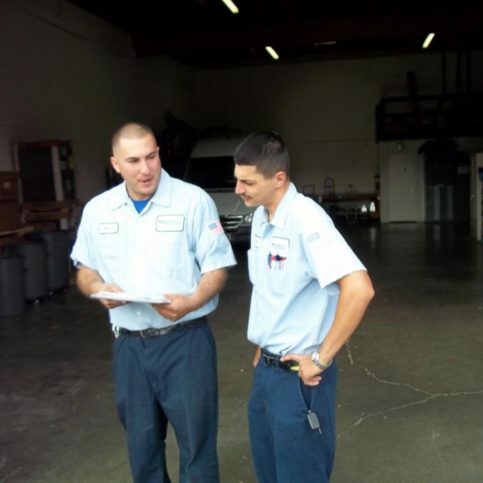 Two Temperature Perfection employees discuss an invoice. Kevin Sollitt is a 32-year veteran of the HVAC industry and president of Temperature Perfection, Inc., a Diamond Certified company. He can be reached at (510) 200-8950 or by email. A: I’d love to travel to Ireland, England and France. A: Dina’s Family Restaurant in Fremont. FREMONT — One thing many homeowners ask about is how to improve their home’s air quality to alleviate their allergy issues. In such instances, I recommend investing in a medical-grade air filtration system. These systems purify indoor air by providing 10 times the filtration power of a standard air filter. A medical-grade filtration system can often be incorporated into a home’s existing heating and air conditioning equipment. However, in some cases, there can be issues with compatibility. For such cases, I recommend purchasing a portable medical-grade filtration unit. This standalone unit will actively work to purify the air in your home. Of course, you’ll still need to be diligent about changing your heating and air conditioning system’s air filter at regular intervals. FREMONT — Host, Sarah Rutan: If you suffer from bad allergies, there’s an indoor air quality solution you should know about. Today we’re in Fremont with Diamond Certified Expert Contributor Kevin Sollitt of Temperature Perfection to learn more. Diamond Certified Expert Contributor, Kevin Sollitt: Hi, good morning. We frequently have homeowners ask us what type of filtration system they should incorporate into their heating and air conditioning that will help their allergies. We recommend that homeowners invest in a medical grade filtration system that will typically lower the particle ten times higher than the standard filter that’s on the market. There are medical grade portable units available if for some reason the standard unit will not fit in your central heating system. 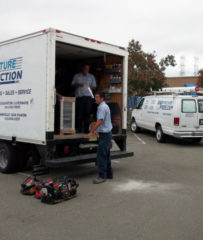 FREMONT — Host, Sarah Rutan: To keep your home’s heating and cooling systems running optimally, it’s important to get professional service at regular intervals. Today we’re in Fremont with Diamond Certified Expert Contributor Kevin Sollitt of Temperature Perfection to learn more. Diamond Certified Expert Contributor, Kevin Sollitt: We frequently have homeowners ask how often should our systems be serviced. If you have a furnace, the furnace should be serviced once a year minimum. 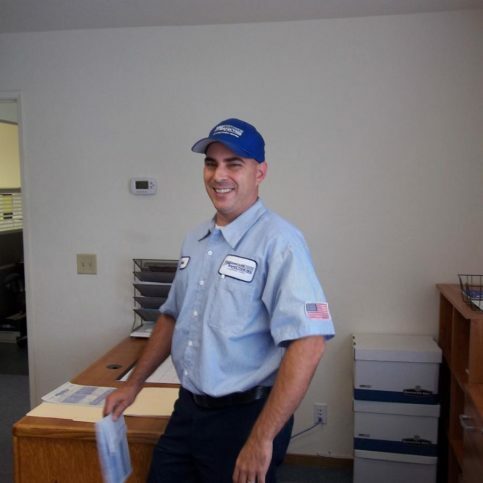 If you have a furnace and air conditioning, each system should be serviced one time per year. Diamond Certified RATINGS ON Temperature Perfection, Inc. Temperature Perfection, Inc. : Average 9.0 out of 10 based on 349 unique customer surveys of customer satisfaction. We've been really happy with them. They respond very quickly, and we appreciate that. They are very responsive and always punctual. 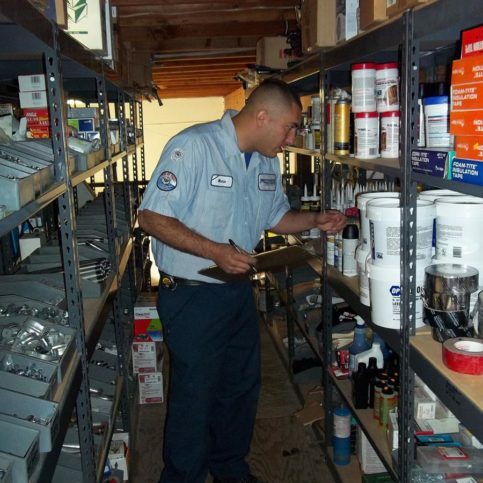 We subscribe to their ongoing maintenance service, and they take care of everything. They are prompt, and their technicians are pleasant and knowledgeable. You can trust them. You don't have to worry that they're going to overcharge you. I have been using them for many years. I think their responsiveness, I usually never have to wait for an appointment. They did my mother's air conditioning, so she actually recommended them. The price the technician quoted was reasonable, and there was no problem with the installation. I would have to say that they were very responsive. They explained everything to me and answered all of my questions. They gave me a lot of options and input, and I appreciated that. They were very personable, careful around the house, and they did a great job. Their technicians were very involved and consistent. They were always on time, quick, and efficient. It was a while ago, but I had a very good experience. I would have to say their customer service stood out. I would definitely recommend them. I really liked their attitude, and the quality of their work. They have great confidence and a great attitude. They were very prompt answering any concerns and coming out to assist me with a problem. They were also very friendly. I have used them many times over the years for my home, my mother's home, and for my rental properties. They really surpassed my expectations. We really threw them some curve balls, and they were very creative coming up with various modifications. They are very knowledgeable, especially about the permits required. They are honest, prompt, and answer any questions that I have. The office is always on top of everything too. I would tell people to consider them. I like their product and service. They did an excellent job. They did what they were suppose to do, and they did it properly and professionally. They answered all of the questions that I had. They did a great job, and you can hire them with the confidence that the job will be done professionally. They did a really nice job and cleaned up afterwards. We did have to call them back for a minor adjustment, but that was really small. They were professional, quick, and clean. They did a good job. They were easy to work with, and they did a good job. I liked the service. They came in right away to fix it. I liked their ability to get the job done in a very short period of time. They're fast and professional.